For people living with a physical disability or mental impairment, it can be nearly impossible to perform even the most basic job tasks. In cases like these, the only option is often to seek Social Security Disability (SSD) benefits. 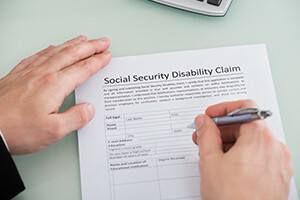 There are specific criteria that must be met in order for the Social Security Administration (SSA) to approve a request for benefits, and the process can be quite complex. The majority of initial applications for benefits are denied by the SSA, and it is important to have an attorney representing you who can help you secure the benefits you deserve. At the law firm of Pulgini & Norton, LLP, we represent people in Fall River and the surrounding area in a wide variety of these cases. Learn more about SSD claims on our Frequently Asked Questions page. No matter where you may be in the process, our attorneys can step in to provide the guidance and representation you need. We will conduct a complete review of what has happened with your case up to this point and help you understand your legal options moving forward. We are committed to pursuing every available option in an effort to secure the benefits you need. If you have questions about applying for SSD benefits or your initial application has been denied, contact us to schedule an appointment for an initial consultation with a lawyer. You can reach us via e-mail or call one of our five offices in New Bedford, Andover, Braintree, Hyde Park or downtown Boston, Massachusetts,at 781-843-2200 or toll free at 781-843-2200.